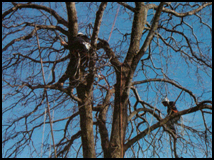 DTS goes out on a limb to provide our clients with the best care service in the business. • DTS employee Jesus Vasqez Gonzalez is featured in the 2007 pictorial by National Geographic "Where Valor Rest" which depicts behind the scene workers at the prestigious Arlington National Cemetery. • DTS received an Outstanding Safety Work Record Award from Arlington National Cemetery for the period of May 2000 to August 2004. • Footage of DTS, performing a removal in "time lapse" can be seen on the National Geographic television special "Arlington Field of Honor" which aired on PBS November 10, 2004.